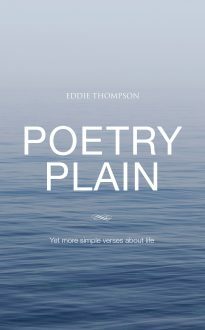 Eddie Thompson’s verses are based on his experiences, observations and thoughts about life, and are (mostly) delightfully brief and (often) very amusing – sometimes intentionally, he says. They cover every aspect of modern life from not being young any more to singing, football, the media, Richard III, socks, place names, Brexit, churches, forgetfulness and poetry itself. This is the fifth volume in the series.